With a stay at The Wyatt Hotel in Westport, you'll be a 1-minute walk from Clew Bay and 11 minutes by foot from Westport House. 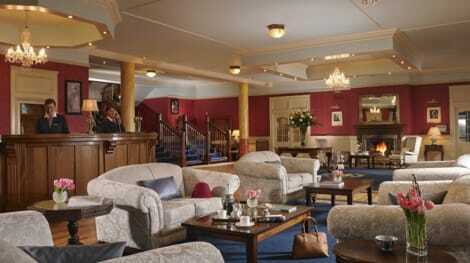 This hotel is 1.9 mi (3 km) from Clew Bay Archaeological Trailhead and 2.4 mi (3.9 km) from Westport Golf Club. Make yourself at home in one of the 87 guestrooms. Complimentary wireless Internet access keeps you connected, and digital programming is available for your entertainment. Private bathrooms with shower/tub combinations feature complimentary toiletries and hair dryers. Conveniences include phones, as well as safes and coffee/tea makers. Relax in comfort at spacious, Georgian style Lurgan House, Westport, County Mayo. Guests can enjoy spectacular views of Clew Bay, Clare Island and Achill Island from this cosy bed and breakfast. With king-size beds, spacious rooms and delicious homemade breakfasts cooked to order, guests will experience authentic Irish hospitality. Discover Westport’s renowned restaurants and bars, explore the beautiful 18th century Westport House and Gardens, and take the kids to the Pirate Adventure Park also within the grounds. Outdoor lovers can enjoy Westport Greenway walking route, scale the famed mountain Croagh Patrick, and indulge in great golf, sailing and surfing nearby. A bright and spacious country home with award-winning gardens, Moher House is a cosy retreat just 8km from the heritage town of Westport. Guests can enjoy afternoon tea on arrival and an array of delicious home cooked breakfast that cater to vegetarians and vegans. With plenty of fishing, cycling, horse riding, sandy shores and the stunning Western Way walking route, guests can embrace the renowned wild landscape of County Mayo. Light Evening Meals available for Hikers. Pets are facilitated outdoors. 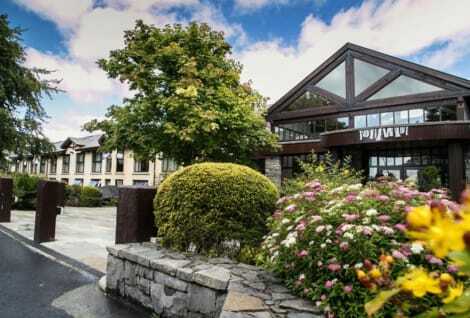 Set in County Mayo on the western coast of Ireland, Westport hotels are based in an elegant town and surrounded by natural beauty – from the peak of Croagh Patrick to the shores of Clew Bay. Although the area surrounding Westport has traces of human settlement reaching back to prehistory, the English architect James Wyatt designed the majority of the town in the 18th century. Wyatt was also responsible for building the Westport House, a large country house that was the ancestral seat of the Marquesses of Sligo up to 2014. The house is a fantastic example of 18th-century architecture and well worth a visit if you're travelling to Westport. The house was built on the site of an O'Malley castle. During the 16th century the castle was home to Grace O'Malley, or Granuaile, the Pirate Queen of Connaught who ruled the seas around County Mayo. The dungeons of the original castle survive as part of Westport House. Close to Westport is the mountain Croagh Patrick, nicknamed Reek. The mountain is an important site of pilgrimage due to its associated with Saint Patrick who supposedly fasted on the summit for forty days. Pilgrims still make their way up the mountain on Reek Sunday, the last Sunday in July. At the top is a small chapel, dating from 1905. Croagh Patrick is the third highest mountain in County Mayo and the peak offers breathtaking views of the surrounding area. Westport's position makes it an ideal base for exploring Clew Bay. One of the best ways to discover the bay's rich heritage is to follow the Clew Bay Archaeological Trail. This 35km trail is best broken into small sections and the total length encompasses 6,000 years of history. Some of the highlights along the trail include: Clare Island – the home of the Pirate Queen Grace O'Malley. St Bridget's Abbey is set on the south side of Clare Island and dates from between the 13th and 15th century. Granuaile's Castle survives from the 16th century, when the O'Malley clan built it. In total the trail takes in 21 different archaeological and heritage sites. Head to Westport harbour and you'll find a colourful collection of boats on the water alongside a selection of restaurants, cafés and pubs on the shore. The harbour is a fantastic starting point to exploring Westport and the local area. There are boat cruises on the water, shops selling fish and chips, and a number of companies offering a chance to try your hand at water sports, including kayaking and fishing. The Great Western Greenway stems out from Westport and covers a space of 42km, making it an ideal choice for walking and cycling in the countryside around the town. There are plenty of places to rent bikes in the middle of town or along the harbour. The Blueway is a similar network of paths but on the water, encompassing snorkel trails, kayak trails and a number of beaches, such as the Blue Flag-awarded Old Head beach.